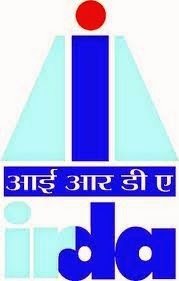 The insurance watchdog in India, Insurance Regulatory and Development Authority of India (IRDA) is all set to launch a crackdown on advertisements by insurance companies that show their standing in the industry, with respect to their rankings. The regulator has sent notices to insurers such as state-run New India Assurance to ensure that they do not publish their ranking in any advertisements. As per the Insurance Advertisements and Disclosures Regulations, 2000, no insurer can show advertisements based on ranking, which can be misleading customers or which make unfair comparisons between insurance companies and their products. The insurance companies have also been advised to follow the code of conduct prescribed by the Advertising Standards Council of India (ASCI). The regulator, in its guidelines released earlier, had said, “No claim of ranking by an insurance company, as regards its position in the insurance market, based on any criteria (like premium income or number of policies or branches or claims settlements, etc.,) is permissible in any of the advertisements."